You might know that ROM stands for read-only memory, but it has an entirely different definition in the Android world What Is Rooting? What Are Custom ROMs? Learn Android Lingo What Is Rooting? What Are Custom ROMs? Learn Android Lingo Ever had a question about your Android device, but the answer had a bunch of words in it that you didn't understand? Let us break down the confusing Android lingo for you. Read More . On Android, a ROM refers to the operating system that runs your device. Let’s take a look at a few basic facts about ROMs you should know. Every Android phone is different, because hardware manufacturers customize stock Android How Android Differs Depending on the Hardware Manufacturer How Android Differs Depending on the Hardware Manufacturer Not all Android devices are created equal. See how yours stands out from the crowd with our comprehensive guide. Read More to their liking. This is why Samsung’s phones look vastly different from LG’s devices, even though they both run Android. Aside from the official ROMs, there’s an entire community built around custom ROMs. These are third-party ROMs built for various purposes. Sometimes a dedicated fan will create a ROM alone, but oftentimes they’re made by small teams. Just like Samsung phones have some features that stock Android doesn’t, you’ll find cool features in custom ROMs. They might add settings that aren’t normally available, or different methods of navigation. For a long time, one of the most attractive parts about using a custom ROM was receiving timely Android updates. Many cheaper phones, especially when Android was new, never received updates In Today’s Android World, Up-to-Date Software Is Only for the Privileged In Today’s Android World, Up-to-Date Software Is Only for the Privileged If you own an Android phone, there's a good chance you rarely get Android security updates. And you can blame it on the Google Pixel. Read More . This left owners of these devices without important security patches and fun new features. Nowadays this isn’t as big of a draw though, as most phones receive some level of update support. I've been considering it again, but I'm pretty happy with stock Android, so not sure if it's worth it if I'm not gonna use a custom ROM. Speaking of which, the custom ROM scene has seen a drop in popularity over the last few years. This is partially due to some ROMs dying out, but it’s mainly because most people are fine without a custom ROM Why You No Longer Need a Custom ROM for Android Devices Why You No Longer Need a Custom ROM for Android Devices Android phone have gotten a lot better in recent years -- so do you even need a custom ROM anymore? Read More . Aside from the risks of modding your device, you can lose out on important features, like camera tweaks, using a custom ROM. Android is a lot more stable out of the box than it once was. 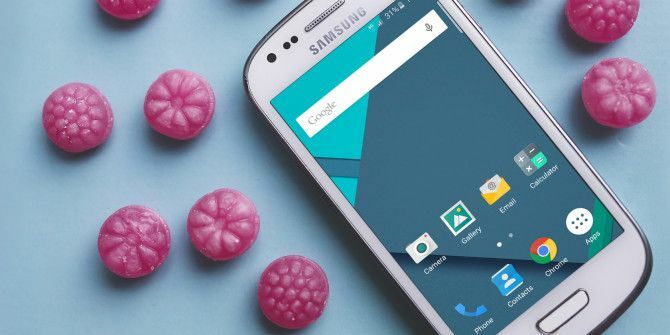 And many features that were once only available on custom ROMs, like granular app permissions, control over notifications, and removing bloatware, are all built into modern Android phones. Of course, there will always be a group of Android enthusiasts who continue to work with and use custom ROMs, which is part of what makes Android so great. Explore more about: Android Customization, Custom Android Rom.